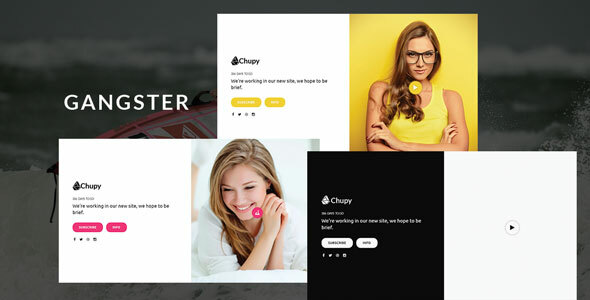 Gangster is a responsive minimal, business under construction WordPress Plugin. This minimal template is packed with a countdown timer, ajax contact form, social icons. With this WordPress Plugin you will be able to work on your site/theme while your visitors see the under construction page. When you’re done just disable it in the admin and your new site will be live. You can then keep using it whenever you need to take your site into maintenance mode.